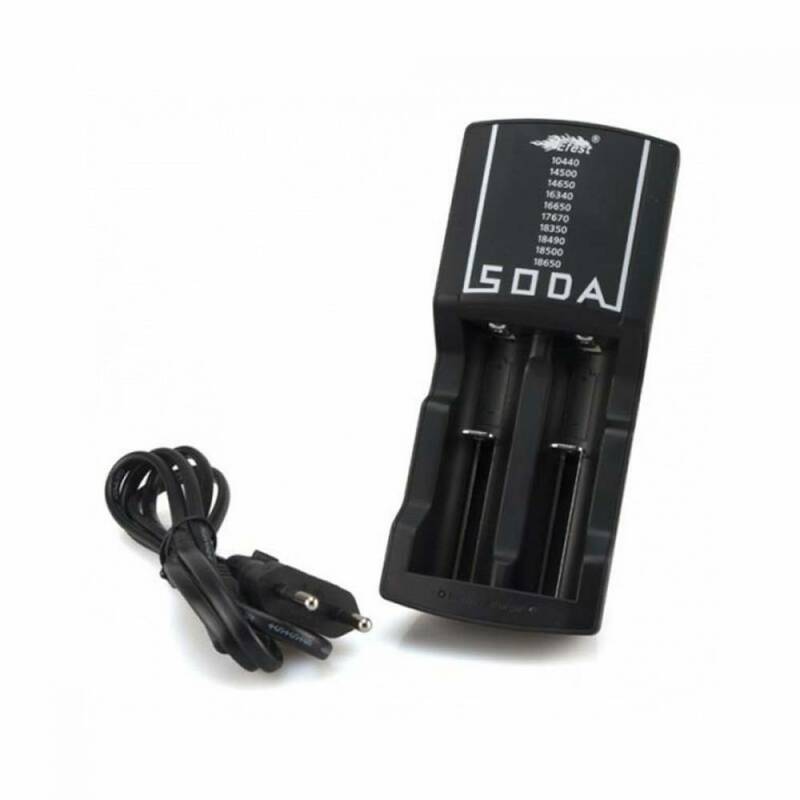 The Efest Soda Dual 18650 Charger is a great option for people with dual 18650 mods. Charge two 18650 cells at the same time ! Both slots are completely independently operated so safety cut off occurs when each cell reaches 4.2 v.
Variable charge rates are selectable from 0.5A up to 1A. Most high end IMR cells used for Vaping can charge at 1A but check you batterie’s manufacturer details to be sure. If in doubt use the 0.5A mode.